After Christchurch, we should be mourning, not politicizing. The news last week that a suspected white supremacist from Australia murdered 50 Muslims at two mosques in Christchurch, New Zealand, has left us heartbroken. Still reeling from the anti-Semitic attack at the Tree of Life synagogue building less than five months ago, we can feel this newest assault on people of faith in our bones. Jewish Pittsburgh immediately took action to do what it could to help. As you will read on the cover of this week’s paper, the Jewish Federation of Greater Pittsburgh raised $230,000 in just a few days, and Tree of Life added to that with its own effort. Synagogues called for Pittsburgh Jews to show up for our Muslim brothers and sisters as they entered their mosque to pray on Friday, the equivalent of their Sabbath. The Muslim community stood with Pittsburgh after the massacre of Oct. 27, and we stand with the Muslim community now. What happened in Christchurch is a horrific tragedy and we unequivocally condemn it. It is unfortunate that there are those on both sides of the political spectrum who are using this tragedy to advance knee-jerk, ideological narratives that increasingly are making less and less sense. We disagree with those on the left who place blame for this attack halfway around the world solely at the feet of President Donald Trump, just as we disagree with those on the right who claim he bears no responsibility at all for enabling white supremacists through his anti-immigrant and hateful rhetoric. Statistics don’t lie. Hate crimes rose 17 percent in the year after Trump took office. 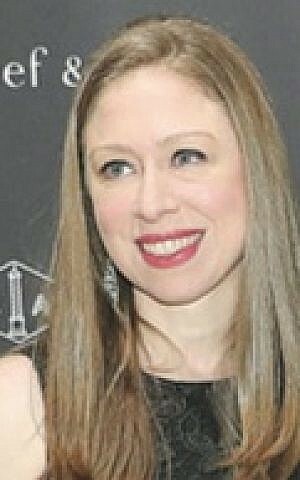 But we headed down the rabbit hole last weekend at a New York University vigil for Christchurch victims, where Palestinian Muslim activist Leen Dweik confronted Chelsea Clinton, absurdly claiming Clinton was responsible for the New Zealand murders. A video posted on social media showed the confrontation, during which Dweik chastised Clinton for the former first daughter’s earlier criticism of comments by Rep. Ilhan Omar (Minn.) about American policy toward Israel. Omar’s comments — which accused Jews of dual loyalty and controlling world affairs through money — were widely condemned as anti-Semitic. “What we need you to do is reflect on how you contribute to islamophobia and stop doing that,” Sarsour wrote about Clinton. The implication is that just by criticizing someone who is Muslim, one is ipso facto Islamophobic, even if that Muslim is a member of Congress and hurls age-old and dangerous tropes against Jews. A tweet by left-leaning journalist Glenn Greenwald, defending the NYU activists, was even more absurd, claiming that their point wasn’t that Clinton was the “literal cause of the massacre,” but that Clinton’s family’s “vehement pro-Israel politics, along with the role she bizarrely played in attacking Omar, made her a bad choice” to include at the vigil. So, having pro-Israel relatives is now a disqualifier for supporting other minority victims?